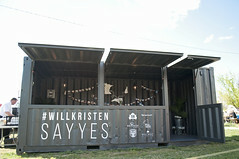 Not everyone thinks shipping containers are romantic. That’s understandable. 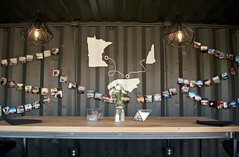 They’re frames welded to corrugated metal. And if you get them from us, they probably have some fashion of doors and windows. 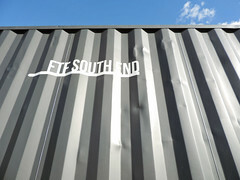 Maybe an awning or two. 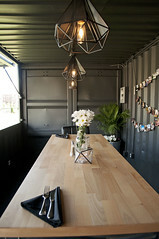 But for us, shipping containers are a labor of love. 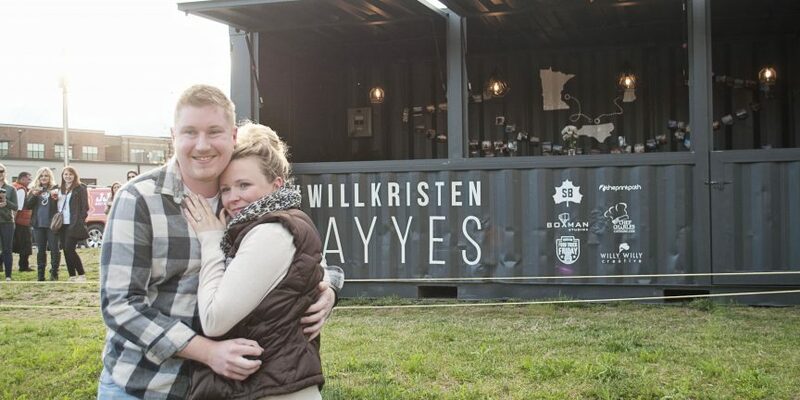 And no one demonstrated that more than our designer, Matt, when he staged one of our 20-foot concession assets to propose to the love of his life, Kristen. 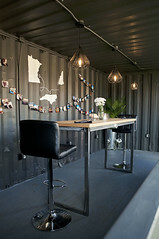 You see, shipping containers aren’t about how they’re made. It’s how you use them. 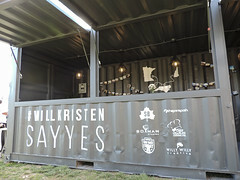 Set down at a popular local event, Food Truck Friday, the container was decked out with stunning décor and fresh daisies. 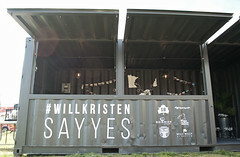 Written in bold, white lettering across the front was a collection of logos from local businesses that sponsored the event, and the hashtag, #WillKristenSayYes. 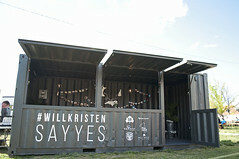 With friends, family, and a few strangers gathered around, Matt dropped to his knee and asked Kristen to be his bride. Spoiler: she said yes! Chef Charles for catering an amazing meal. 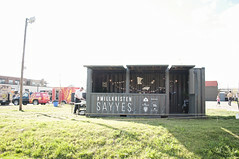 Sycamore Brewing for allowing us to use their venue. Food Truck Friday for allowing us to piggy back on their event. 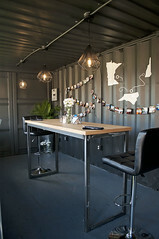 Print Path for providing the outside accents on the container. Charlotte Agenda and RailTrailClt for sharing photos via social media.